"But, we take note of the reports that appeared and we express our serious concerns anew on its impact to efforts to maintain peace and stability in the region," Roque told a regular media briefing at the presidential palace. "We are taking the appropriate diplomatic action necessary to protect our claims and will continue to do so in the future," it said in a statement. "We reiterate our commitment to protect every single inch of our territory and areas which we have sovereign rights over," the statement said. However, the foreign ministry stopped short of condemning China's action, which Washington said could raise tensions and destabilise the region. China claims almost the entire South China Sea, a strategic waterway through which about $3 trillion worth of sea-borne goods passes every year. Brunei, Malaysia, the Philippines, Taiwan and Vietnam also have conflicting claims in the area. China has built seven artificial islands in the Spratlys group in the South China Sea and turned them into military outposts with airfields, radars, and missile defences. 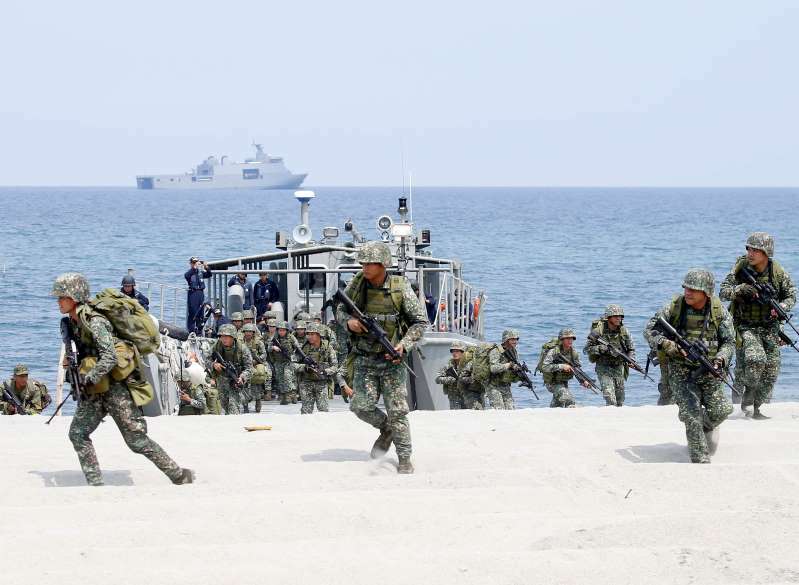 Beijing says its military facilities in the Spratlys are purely defensive and that it can do what it likes on its own territory. Roque said the Philippines has also reassured the United States it was not abandoning 70 years of security alliance after several senior officials met last week with U.S. Pacific Command officials in Hawaii. Filipino lawmakers have criticised President Rodrigo Duterte for not confronting China in preference for his attempts to win China's friendship, despite a favourable ruling Manila received over the disputed waterway from an arbitration court in the Hague in 2016.